As the marketplace grows, and more and more products enter it, manufacturers must find new ways to differentiate their products from their competitors. This is helpful in not only increasing market share, but also in improving product value. There are a variety of ways to accomplish this, including appropriate product labeling, registration and certification. All of these techniques can be used in product 'branding', or to assist in product placement within the marketplace. R. Alexander Associates, Inc. has completed a variety of product labeling related tasks, including conceptual design, text development and layout, and provision of graphics. Possessing technical backgrounds in agriculture, turf and ornamental horticulture, R. Alexander Associates, Inc. staff can develop scientifically defendable labels (and product literature) which contain end use and application instructions, the benefits of end use, etc. Further, having experience in product marketing and sales, label text will adequately promote the product in the end users' appropriate 'language'. R. Alexander Associates, Inc. staff has been developing product labels (and literature) for over 25 years. Further, it also specializes in the negotiation of label and packaging text with registration (e.g., State Departments of Agriculture) and certification entities. In most states, soil amendments and fertilizers, as well as liming agents, pesticides and other related products must be registered for sale through its Department of Agriculture. 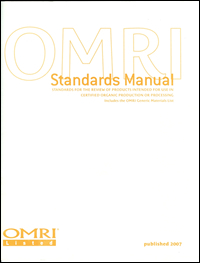 Further, several national and international certification programs exist for composts (e.g., US Composting Council's Seal of Testing Assurance Program, PAS 100), mulches and growing media (e.g., Mulch & Soil Council) and products certified for use in organic production (e.g., Organic Materials Review Institute - OMRI). 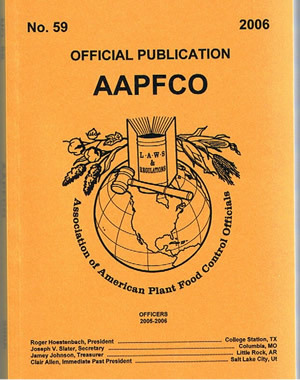 R. Alexander Associates, Inc. is a consultant named by OMRI to assist manufacturers in getting their products 'Listed' by the organization and is a Industry Liaison to the Association of American Plant Food Control Officials (AAPFCO). For over 10 years, R. Alexander Associates, Inc. has fostered relationships throughout North America with regulators, certifiers and Department of Agriculture officials to help its clients efficiently prepare their products for sale. Further, R. Alexander Associates, Inc. has experience working with certifying organizations in North America, Europe and Australasia. While R. Alexander Associates, Inc. has provided labeling, registration and certification assistance services to hundreds of recycled organic product manufacturers, it also provides this service for a multitude of conventional (non-recycled) products. *areas of the site may require Adobe Acrobat Reader to view.